Can’t believe March is over! It’s crazy how quickly time passes. Weren’t we just celebrating New Year’s Day a moment ago? I can still recall listing down my 2017 goals- every start of the year, we all have that urge to level up our past activities and be a better version of ourselves. Somehow, we want to beat our previous years' achievements and goals. That is why most of us come down with a list of resolutions to remind us of the challenge we are readily accepting for each new year. Since we want to be a better version of ourselves, we find ways to level up the things we normally do. This time, I am leveling up my year by enjoying more the good things that life brings. I'd like to travel more with friends and family, and enjoy delicious and good food both locally and internationally. Started my resolution early when the parents and I went to China during the holidays. 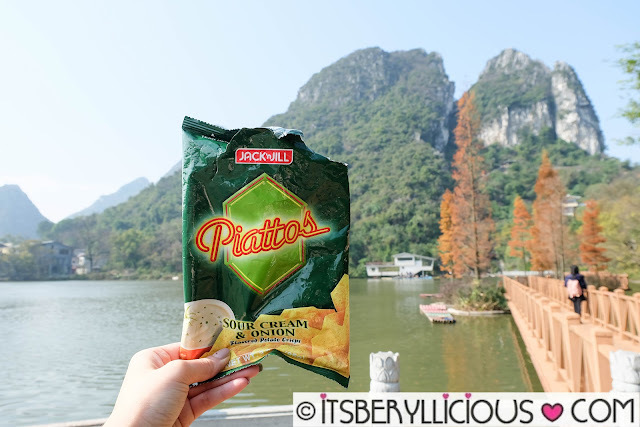 Of course, I didn't forget to bring my favorite snack with us while exploring the natural beauty of Guilin, China, definitely a fun and exciting #PiattosTime. Looks like someone is enjoying it as much as I do. The tour was very tiring, but it was an awesome experience rafting through the Li River and seeing the karst mountains of Guilin up close. Aside from the delicious Piattos potato crisps we brought with us as snacks, we also enjoyed a variety of local delicacies and dishes. I can't wait to have more food and travel adventures this year! 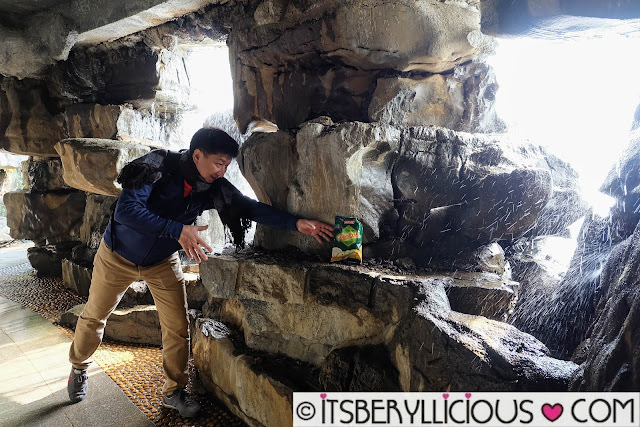 I level up my travel #PiattosTime by immersing more in the beauty of the places I visit. You, what's your leveled up #PiattosTime and resolution for this year?